Milan "El Methodico" Melindo of the Philippines will get his 2nd chance to fight the Mexican Javier Mendoza in a title eliminator fight. Milan Melindo and Javier Mendoza once met last 2015 and Javier Mendoza won via technical decision due to a cut. After that Melindo always want to get his rematch that, he thought, he was rob on the fight. Melindo with the record of 33 wins with 12 victories coming by way of KO with 2 losses is a technical fighter and very accurate puncher. 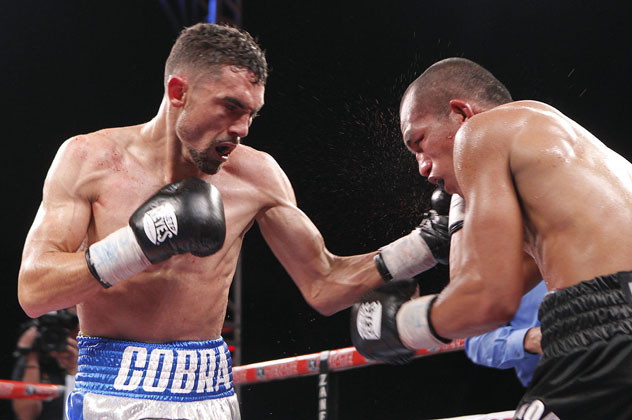 He only loss to a highly ranked fighter first on Juan Francisco Estrada and second to Javier Mendoza. Melindo still believe that he can take the Mexican fighter in the Philippines and move to fight Akira Yaegashi of Japan for a world title. On the other hand, Javier Mendoza is a hard hitting boxer with the record of 24W(19KO)-3L, he was a former IBF World light flyweight champion. The 25 years old boxer was last saw losing to the new champion Akira Yaegashi in Japan via Unanimoous decision. Melindo-Mendoza fight will be included in the Pinoy Pride 36 of ALA promotions together with Arthur Villanueva and Donnie Nietes. The fight will be held in Bacolod on May 28, 2016.